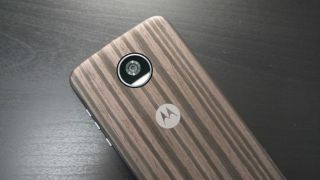 The Moto Z3 Play should be in for a slight redesign, if recently leaked documents are to be believed. Compared to its predecessor, the Moto Z2 Play, this one is said to be going under the knife to shift its fingerprint sensor around to clear the way for minimal bezels. But due to the nature of the company’s Moto Mods, which snap onto the phone’s back, it’s reportedly integrating the biometric feature into the side-mounted power button. Some more alleged details have leaked on XDA Developers, citing that Moto’s premium mid-range phone will sport a Snapdragon 636, 4GB of RAM, with 32GB or 64GB storage configurations, both of which support microSD. Moto appears to be making its Z3 Play a more movie-friendly phone with the jump from 5.5-inches to a 6-inch display. However, this is slightly troubling news, as it is said to stick with last year’s 3,000mAh battery to power the larger screen. The company has either cracked the code for all-day battery life with a big screen, or users might be forced to buy a new Moto Mod to alleviate that issue. Speaking of Moto Mods, Motorola has usually done well to incentivize buyers by including a modular attachment along with purchase. But it seems like it could go a step further this year by offering bundles aimed at certain audiences. It is said to offer four unique bundles: Power edition, Style edition, Gamepad edition, and Projection edition. Moving down the list, the first will get you a battery attachment, “Style” will reportedly nab you a style shell to show off your phone in, you’ll get a gamepad attachment with the third, and lastly, Moto will likely bundle its projector mod with the final bundle. Pricing and release details weren’t exposed in this leak, but we expect it to be priced for less than its Moto Z2 Force flagship model goes for, which is hovering around $700 (£600) on Amazon. You can currently find the Moto Z2 Play for around $300 (£300), so that may be the sweet spot that Moto is aiming for. Is Moto set to dial back its Moto Mod efforts?